At any given time during the day, a person is receiving a call from a debt collector while pressing the deny button at the same time. As a person who once received those calls, I definitely can understand the fear of answering the call to know who is on the other side. I am here to tell you, do not let fear keep you from answering this call. As a consumer, you have RIGHTS! Most times though consumers do not understand their rights dealing with a debt collector. Never let a debt collector bully you into paying a debt that you are questioning; always keep calm and know your rights. Debt collectors are prohibited from using abusive, unfair or deceptive practices to collect. This includes threats, using profanity, false statements. Agents are not allowed to say that consumers will be arrested if collections are not paid, seize/garnish property or wages unless permitted by law; or threaten legal action will be taken. Never let what a debt collector is saying frighten you. You have the right to request debt validation, and the collection agency must send the notice within 5 days. This does not include a settlement offer, this will need to be actual documentation of the debt owed including the name of the creditor owed, and the amount owed. Do not give a debt collector bank account information; or debit card information without requesting validation first. If proper debt validation is received, set a payment term that is agreed to by both parties. Always get the agreement in writing. If the debt is owed. A debt collector is still required to provide debt validation; properly collect the debt, and abide by agreements set. Keep in mind even if the debt is paid; does not mean the account will not be added as a paid collection to the credit report or if the account has already been added that it will improve the score. If the agreement is made that it will not be reported as a collection account, make sure to get it all in writing before paying the debt. Never give into the fear and pay the debt; then realize you have not even paid off the debt. These debt collectors will try all tactics for it to be paid; never even sending the paid in full receipt for the debt if it is paid. Remember your rights at all times! Let’s be honest; credit cards can be a scary. The idea of allowing yourself to get into uncontrollable debt can be very intimidating. A lot of people will avoid credit cards all together just to prevent the temptation. If this is you, when it comes to your credit, you have to face your fears and learn self-discipline. The best way to build your credit is through a credit card. 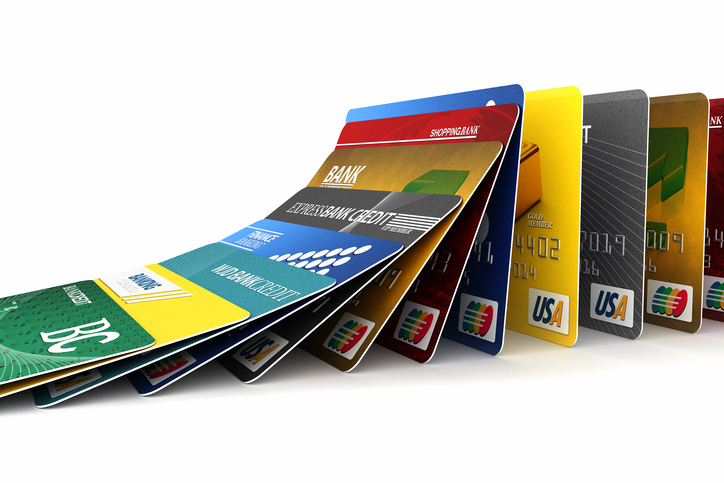 Credit cards are a perfect way to show lenders your ability to repay borrowed debt. And ultimately, that you are responsible enough to have access to money without utilizing it. Not all credit cards are the same. When I say credit card, I don’t mean a retail or store card. EX: Bealls, Target, Victoria’s Secret, Walmart, etc. It is in your best interest to obtain a major credit card that reports to all 3 of the credit bureaus (Experian, Equifax, TransUnion). If you obtain a credit card that only reports to one or two of the 3 major bureaus, you are only helping one or two of your credit scores. It is best to keep your credit card(s) at a zero balance. Since your debt accounts for 30% of your credit score, it is ideal to keep your credit cards at a zero balance. However, keeping your cards at zero for too long can eventually cause the account to close; which coincidentally can also lower your credit score. The main reason you would want to have a non-retail credit card is the account will stay open longer at a zero balance. This makes it much easier to maintain and manage the account. If you are not using a store’s credit card, you’re not making them any money, and they will close your account. A major credit card will allow you to not carry a balance typically for about 12 months before considering to close your account. You DO NOT have to carry a continual balance for your account to be considered active. If you’re thinking of getting a credit card and cutting it up to stop yourself from using it, don’t. There has to be occasional activity on the account for it to remain open. However, you do not have to have a constant balance to keep your account open. I would suggest putting gas or charging a small amount every 9 months or so then immediately pay it back. This will ensure your account stays active. For overall good credit, you DO have to have a credit card. You need a credit card that reports to ALL 3 Bureaus. You DO have to use the card OCCASIONALLY to prevent the account closing. If you need to establish a credit card, we recommend this website. Got Mortgage on the Mind? Everyone one needs a place to live, the question is do you want to continue to pay for a rent home you will never own; or buy a home that will be all yours. Most time people are nervous about purchasing a home since they are unaware of the mortgage process, so lets break it down since it is not as scary as you might think. 5 Steps to Get You Started! No one wants to walk into a loan company and be denied for your mortgage because of your credit score. Before walking in; take a look at your scores and be sure to look at all three (Experian, Equifax, and Transunion). Research what scores you will need to get qualified so when you see your scores, you will know what you need to be at. Remember this information is easily found, you just need to spend a little time educating yourself. Find a mortgage company, and a loan originator. Again do your research and find a company who will best suit your needs. Keep in mind, are you wanting to work with a nation wide company, or a company you can walk into. All of this matters! Once you find a loan officer; they will start the process. This will include pulling your credit; verifying your income, employment, and debt. Also they will start to go over how much money you are needing to have saved up which includes your down payment and closing costs. Keep in mind down payments and closing costs can vary depending on the type of loan you are applying for. Find a realtor that is going to keep your best interests in sight as the buyer. This means they are going to be on your side when you find that perfect home and put in an offer! Do not find a home first, and just work with the realtor who is selling the home! Think about it, this realtor was hired by the homeowner to sell their home and get them the best possible price. They will be looking out for the best interest of the homeowner. Remember purchasing a home is a huge step! In that huge step are obstacles that you may have to overcome. Do not get discouraged that the first home you fell in love with, your offer was not accepted, or it does not pass inspection; and the seller will not budge on repairs. Just means something bigger and better is on the way. Never let the negative thoughts set in that you are not destined to be a homeowner! You are! Congratulations! You are now a homeowner, now your job is to set back and make your new house a home! It may have seemed that you would never get here, but guess what? You made it! 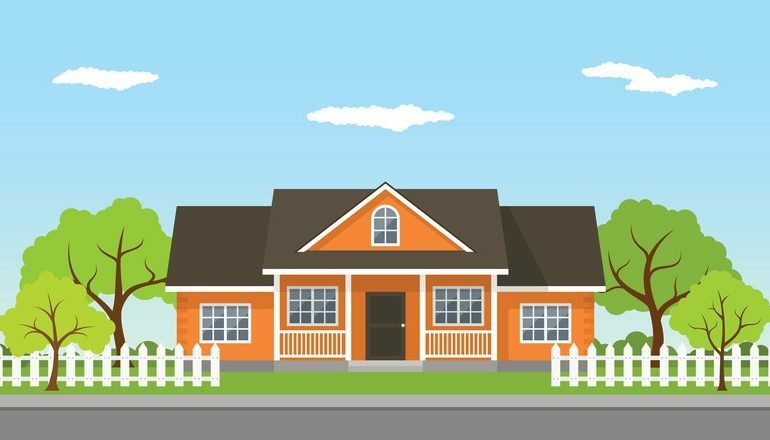 There is more information when it comes to purchasing that home, but think in just 5 steps you will definitely be on your way to being a homeowner! Stay Tuned! I will be back with more information regarding different types of mortgages as well! 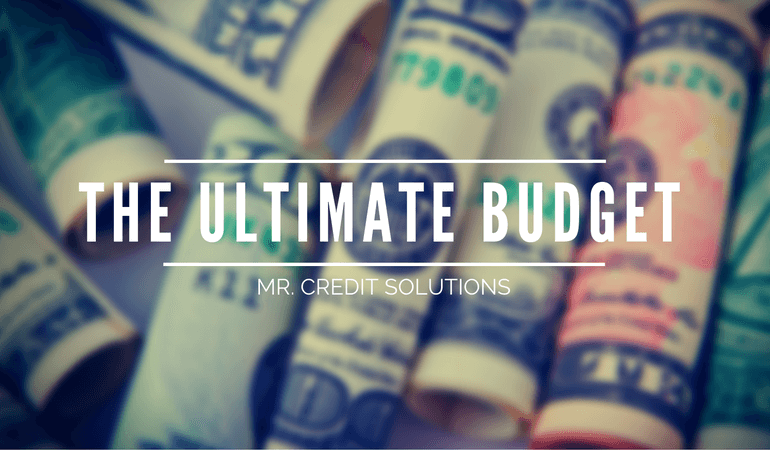 The first step to becoming financially successful is starting a budget. And we’re here to help you! We understand budgeting can be a little restricting at first. It seems like you’re going from spending a normal amount of money to spending no money at all. But really, you’re just now starting to spend a normal amount of money. It’s a little confusing, we get it. But we’ll be with you every step of the way (we even included a FREE budget sheet for you). Now budgeting isn’t meant to be a punishment for overspending or the negative part of organized finances. Instead of looking at budgeting negatively, look at it as “being prepared.” You’ve decided where you’re going to spend your money in advance, so you’ll know exactly where your money is going and how it’s spent. That feeling, alone, will allow you to feel so much more comfortable with your finances. Not to mention, the feeling of being in control of your finances. So now that we’ve had a little rundown over budgeting, let’s get started! There’s a few different ways to budget… No worries, we provided a brief run down of a few of your options. You should track your budget the way that you learn. So say, for example, you learn/memorize things better when you physically write them down (with a pen), you’ll want to do the same with your budget. Use our FREE printable budget sheet here! Of course, we understand not everyone has a steady salary (waiting tables, commission, hourly, etc.) but no worries, you can still calculate a budget. If you have an inconsistent income, collect as many paycheck stubs as you can. Add the total income from all of the stubs together and divide by the amount of stubs there are (average). This can cause some inaccuracies in your budget sheet since your salary does vary, but this option will still work. These expenses are kind of necessary, kind of not. Many of them only come once or twice a year. There just things to think about when the time comes. When deciding your monthly income, you want to go with the lowest possible figure. You want to base your budget off of what you know is guaranteed. Then if you end up with extra, well, that’s great! Write down all of your necessary expenses. You have to reach far into the back of your mind and think of everything you have due this month. What helps is having a calendar out in front of you. Write down everything you have due, how much it is and what day it is. If you aren’t sure how much a certain bill will be, take a look at the past 3 or 4 bills and determine the average. Are you wanting to buy a car? A house? Getting out of debt? Maybe you just want some extra shopping money? Whatever your goals are, you should write them down. When you can see and be reminded of your goals everyday, you’ll be more motivated to do whatever it takes to achieve that goal. If you noticed in our discretionary expenses list, there were a few things that seemed like they are necessary. It is very important to learn to prioritize. You have to decide, is Netflix more important that eating out? Also, you may not get every single thing you want, the day you want it. That’s okay, with your new budget, the important thing is you’ll get it eventually and there will be no financial trouble surrounding it. This equation is simple and easy. First, you’ll add together your final numbers from step 4 and step 6. After that, you will subtract your first answer from your final number from step 3. If you have a positive number, then you have extra money in your budget! If your number is negative, you are possibly spending too much money. You may need to rearrange or take things out of your budget. If you need to remove something from your budget, DISCRETIONARY GOES FIRST! PRIORITIZE – we can not emphasize the importance of prioritizing your expenses enough. Your discretionary expenses are not more important than non-discretionary. They just make life a little easier. But you should always make sure your necessities are taken care of first. That new thing you want can wait, the electricity cannot. ORGANIZE – we highly recommend to keep a list of every single purchase you make, when it was made and how much it was. It seems like your micro-managing your budget a little bit, but this will make your budget the most accurate. And organizing your expenses will also help keep your bank account in the green and out of the red. We want you to be as financially successful as possible. Budgeting is step number one. We always remind our customers, being financially responsible today will reward you tomorrow. If you didn’t see our budget sheet earlier in the post, click here! Every now and then, there’s that lucky person that gets to buy a house for their first place to live. For the rest of us, typically, our first house is a rent house. Some people even prefer renting over ever buying a house. But there’s a whole list of rules that comes with renting a house. A renter must follow every rule set by the landlord, otherwise you may find yourself facing a big loss of money. Renting a house can be hard, but it doesn’t have to be. 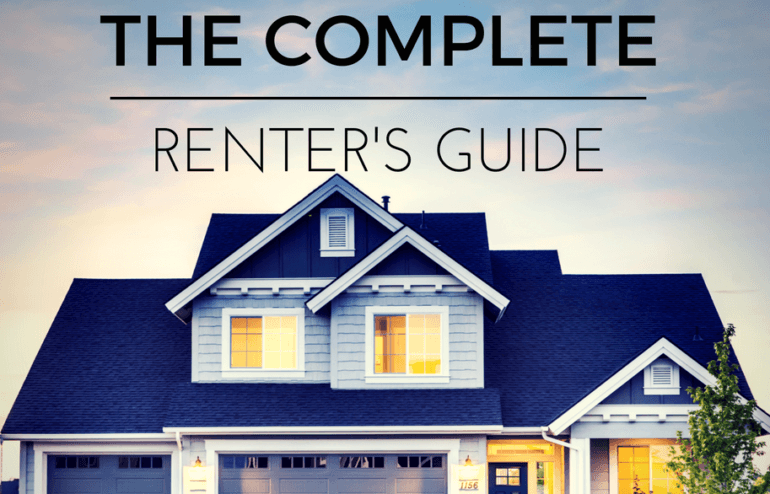 We’ve created the complete renter’s guide to making this process a little easier on you. First off let’s start with some definitions! Renter – that’s you! The person renting the house. Landlord – the person who owns or manages the house you’re renting. Lease – This is a contract between you and your landlord regarding the property. Security Deposit – a set amount put towards the house to guarantee your spot and cover property damages. When looking for a house to rent, your biggest concern should be your budget. You have to account for your rent, utilities, food, gas and miscellaneous purchases. So maybe make a budget before hand. For tips on how to make a budget, check out this blog post here. You’re next concern is location. Is your house close to work? What school district is it in? What is the neighborhood like? These are all important factors to consider when thinking about location. Are the utilities paid through the renter or the landlord. So you’ve decided you like the house… the next step is to go through the application process. In this process, landlords check your previous rental history, credit history, etc. If you’ve passed the application process, it’s time to get the lease. It is VERY important that you read the lease the entire way through before signing it so you’re not forced to be in horrible conditions. Make sure you call your utility providers about two weeks before you move in to ensure all of your utilities will be ready by the time you move in. When you move in, be sure to fill out an inventory and condition form. You’ll write down anything damaged within the house. Without that form, the landlord can charge you for damage done by the previous renter. Make sure you pay all of your utilities and rent on time, every month. Most rentals and utilities count towards your credit score, so if you pay late, it can affect your credit score negatively. For more tips regarding credit, check back every week for a new blog post or follow us on social media! Enjoy your new rental home!